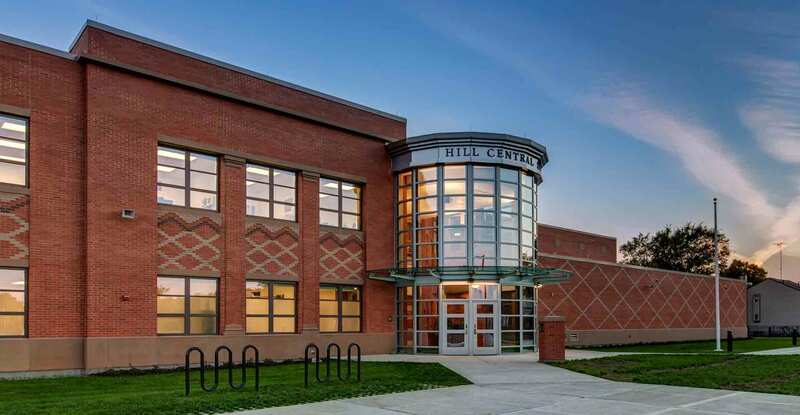 The City of New Haven’s ongoing efforts to revitalize and/or rebuild all its public schools includes the construction of Hill Central School, the fourth public school designed by Kenneth Boroson Architects as part of this program. Originally known as Hill Central Music Academy, the small, environmentally problematic school was replaced by a brand new 77,500 sf building on the same 4-acre site in a densely-populated neighborhood. 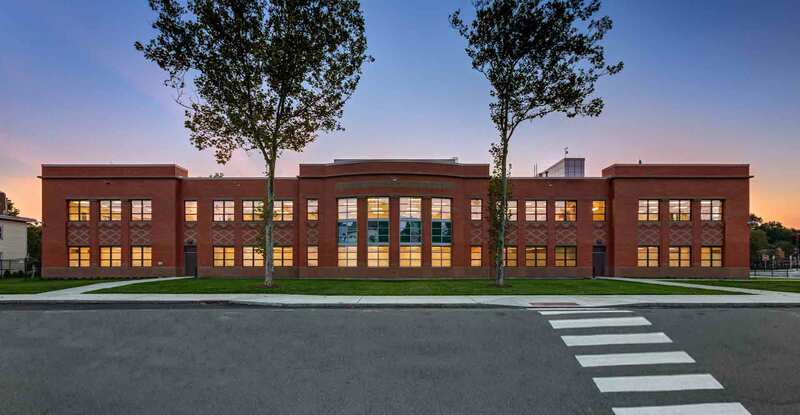 The new PreK-8 school was designed to LEED Silver equivalency and Connecticut High Performance Building Standards. 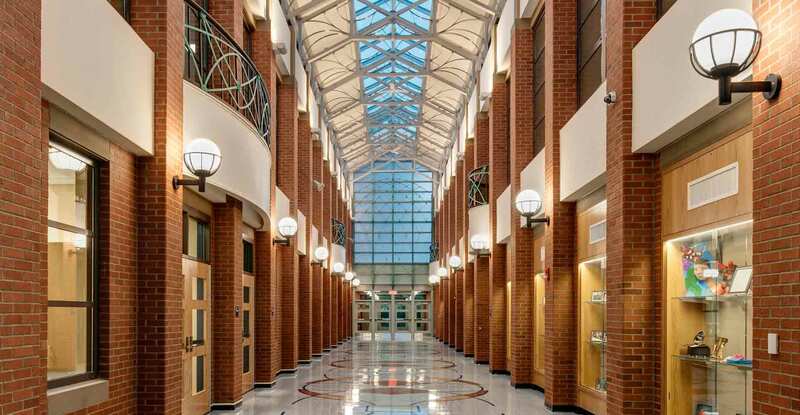 A new central utility plant, providing power via a fuel cell, not only generates the school’s heating and cooling, but also serves a neighboring school. Natural light is featured throughout all occupied spaces. 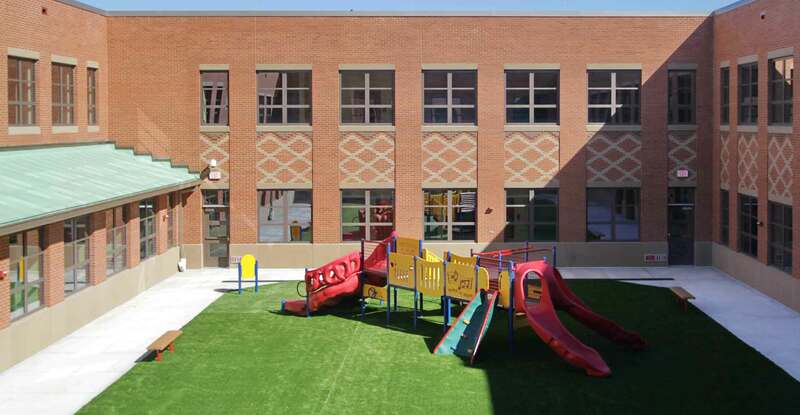 Classrooms and a science classroom/lab are situated around a courtyard, allowing hallways to receive daylight while providing a secure playground area for younger students. 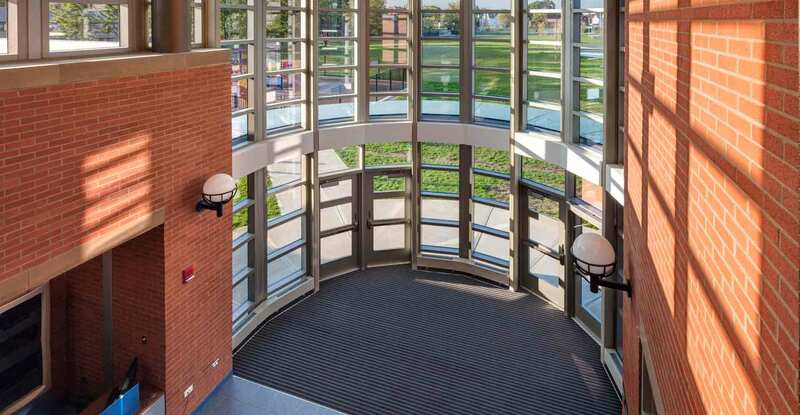 The main entrance corridor, referred to as "Main Street" by the school community, was designed to inspire students and staff. Two stories in height, skylights run its entire length, flooding the interior with sunlight, while exterior-style light fixtures and contemporary uplights transform the space dramatically after sunset. A second-story conference room offers special vistas of both Main Street and the entrance lobby. 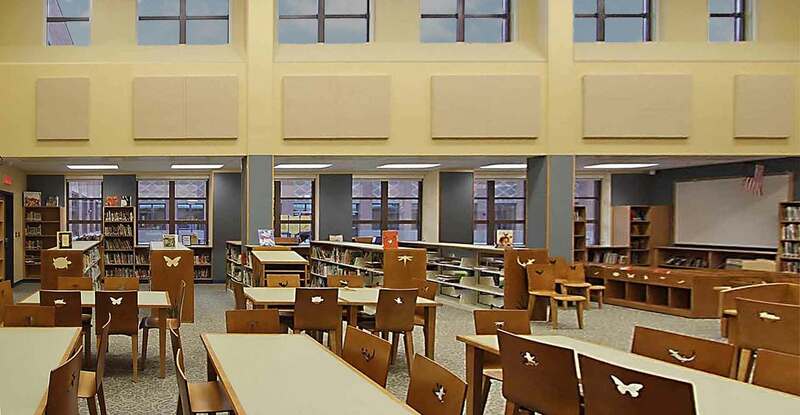 Spaces such as the media/computer center, gymnasium, cafetorium, and music/art classrooms are accessed from Main Street. This arrangement was the result of the Building Committee’s desire to encourage neighborhood use of community spaces after hours, while securely limiting public access to classrooms. The new school contains three classrooms per grades PreK-5, and two classrooms per grades 6-8 and accommodates an estimated total enrollment of 540 students. 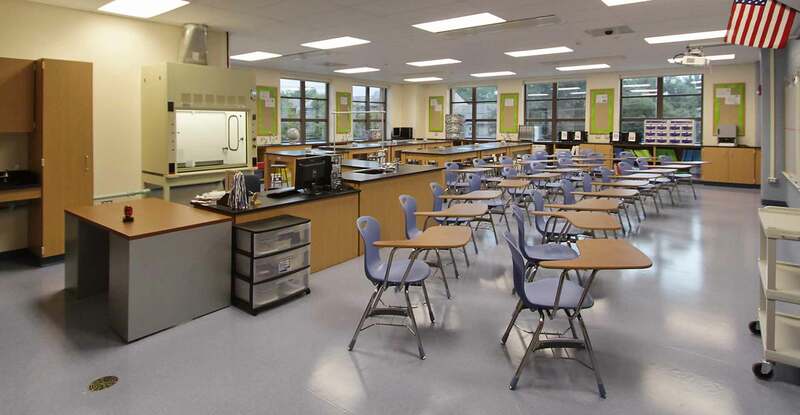 Completed on time and under budget by approximately $2.5 million, students were welcomed to class for the first time in August, 2012.